I used a ball mason to boil milk for yogurt. I kept water in the main pot, kept the jar on trivet, poured milk, lightly covered the milk and set on steam function for 2 mins. NR. 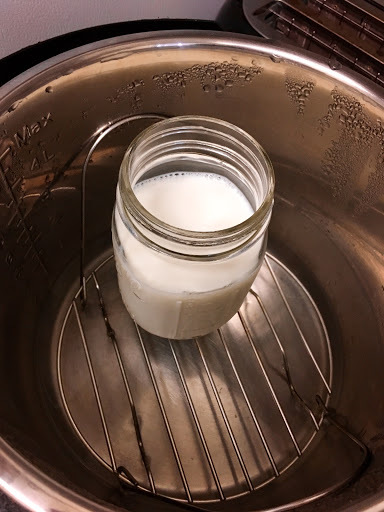 I let the milk cool and added the starter. I set my yogurt in the oven with light on. Sets to perfection !